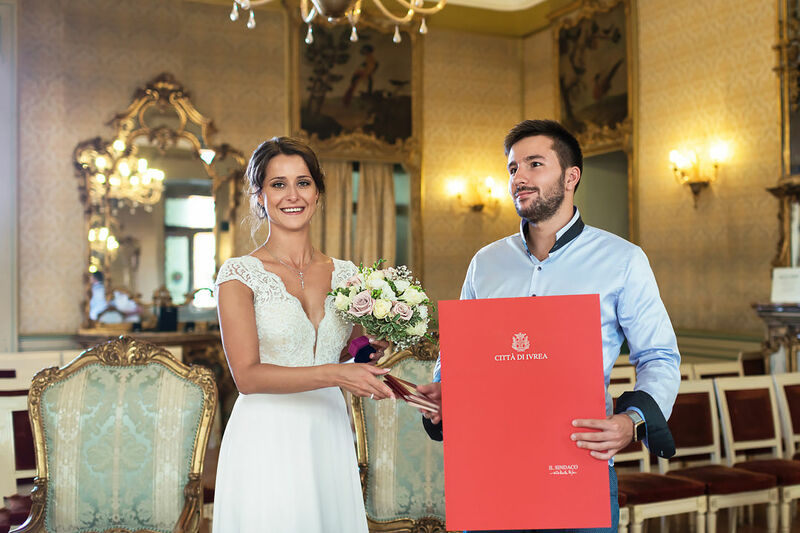 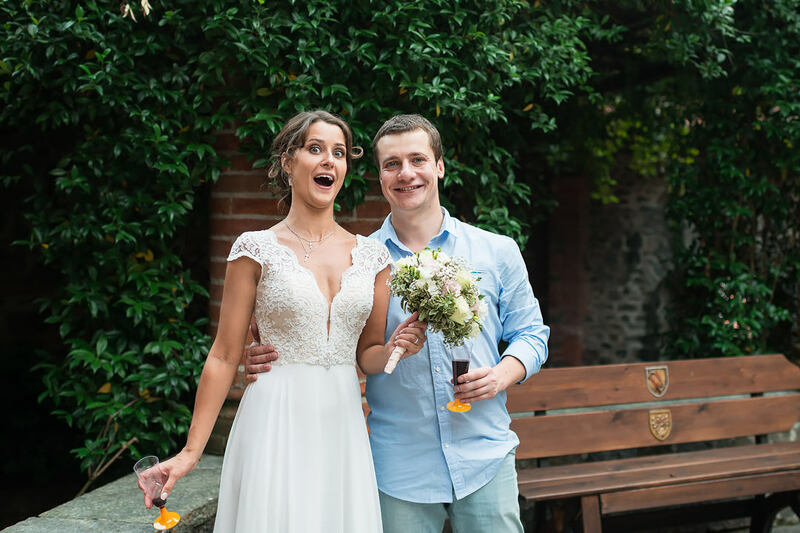 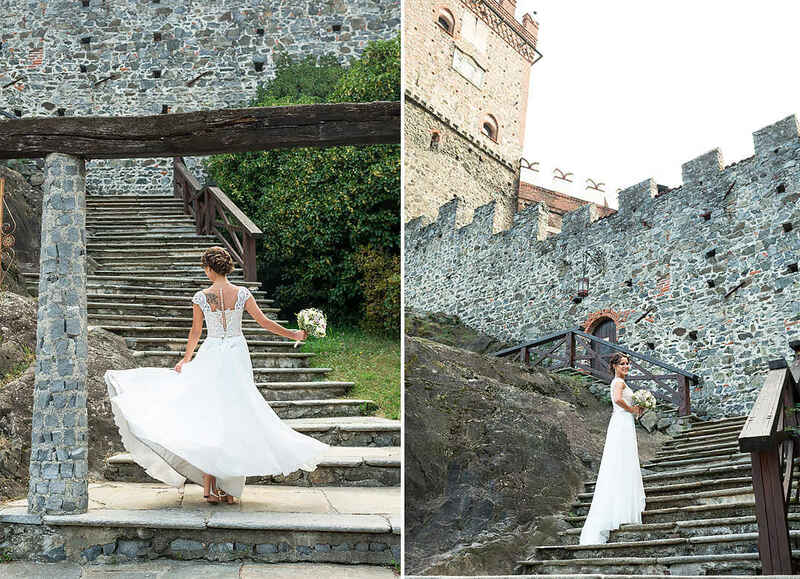 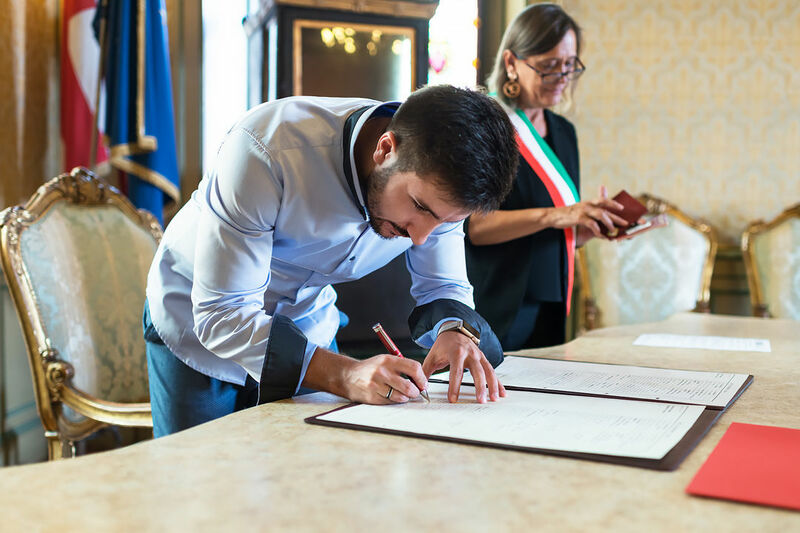 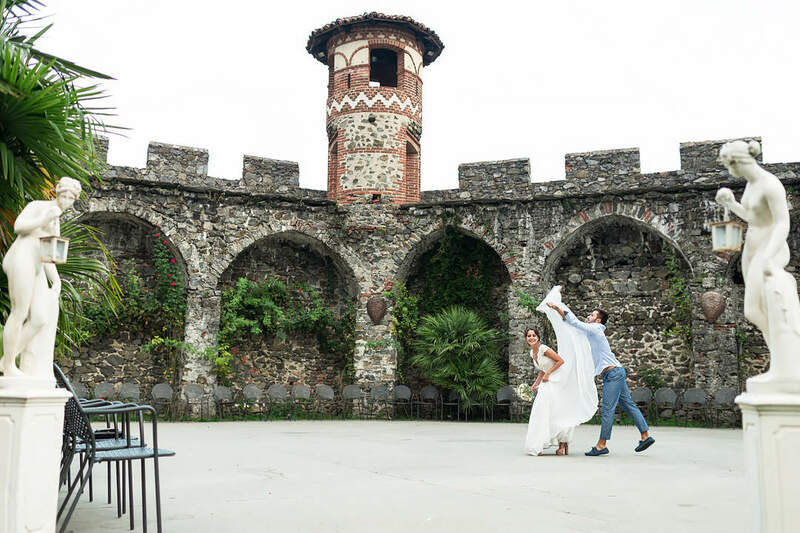 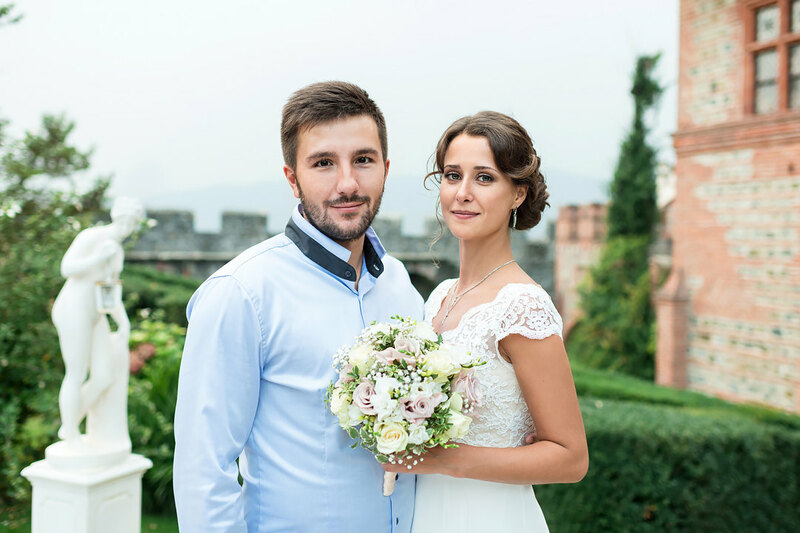 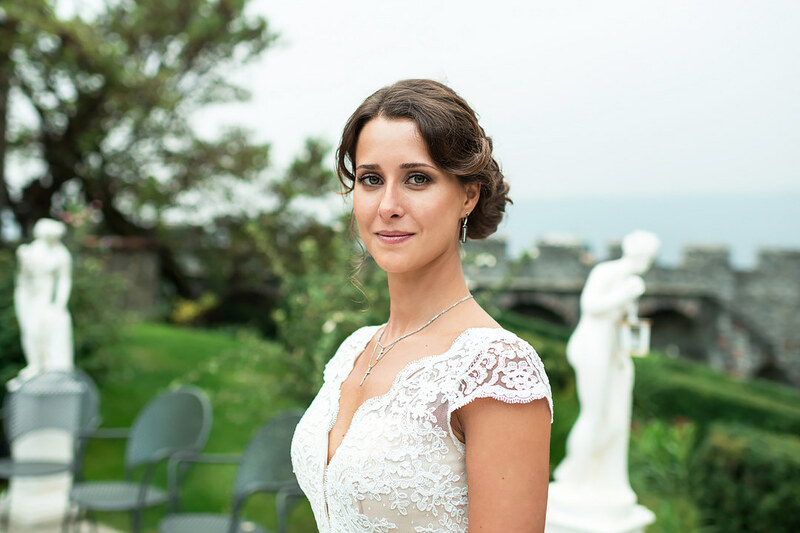 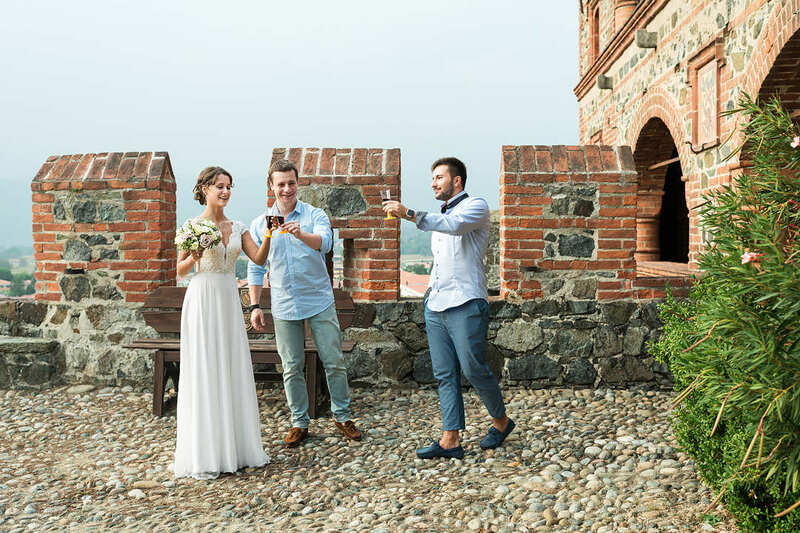 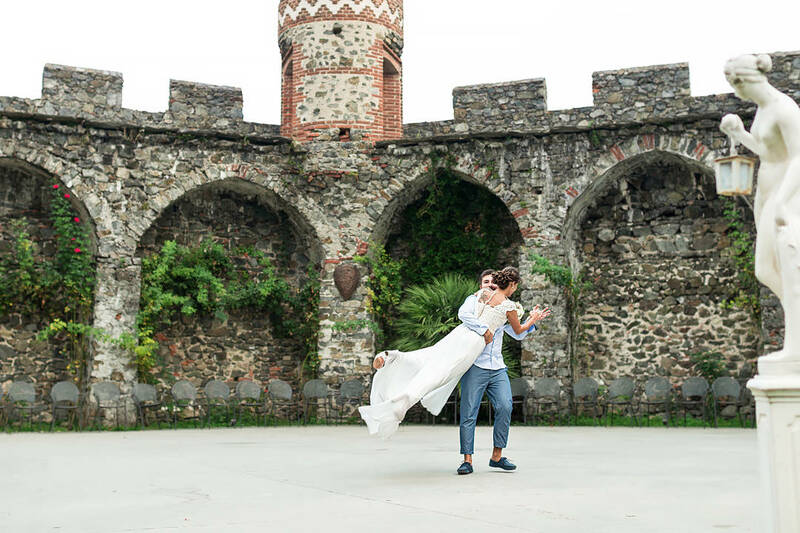 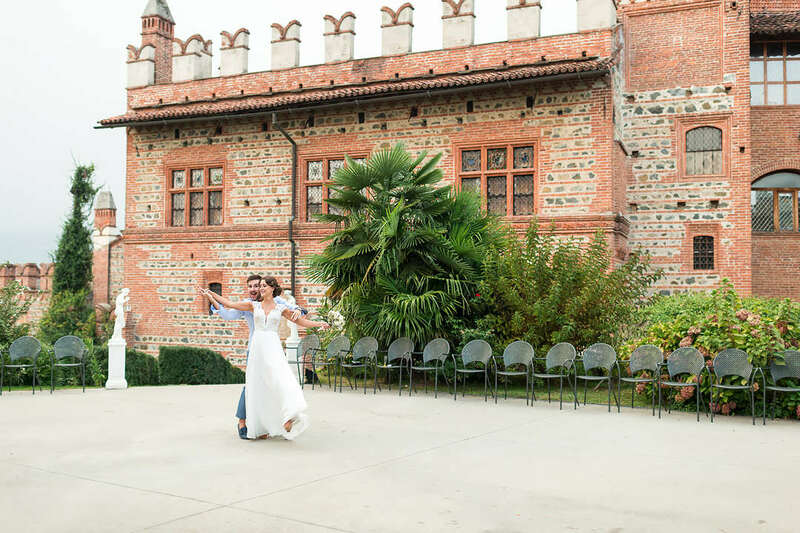 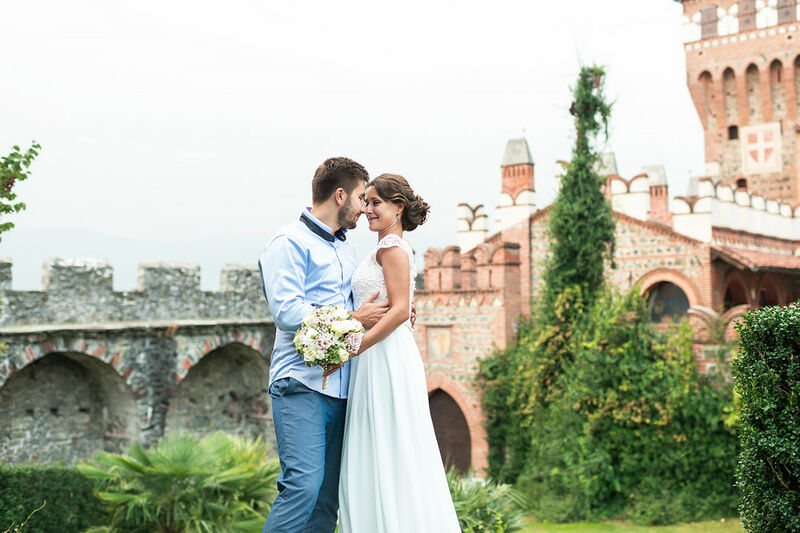 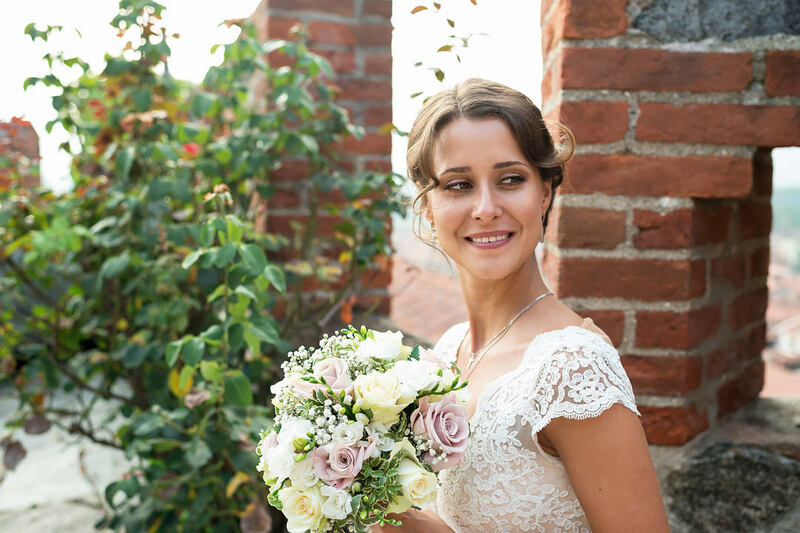 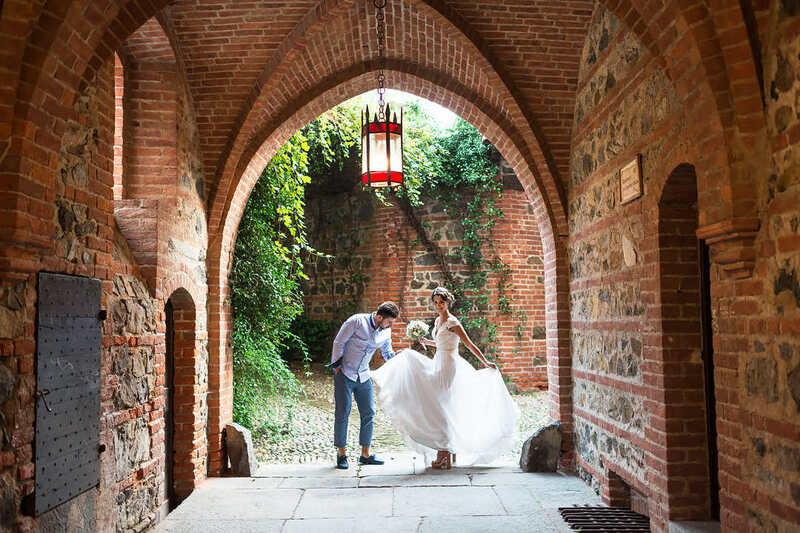 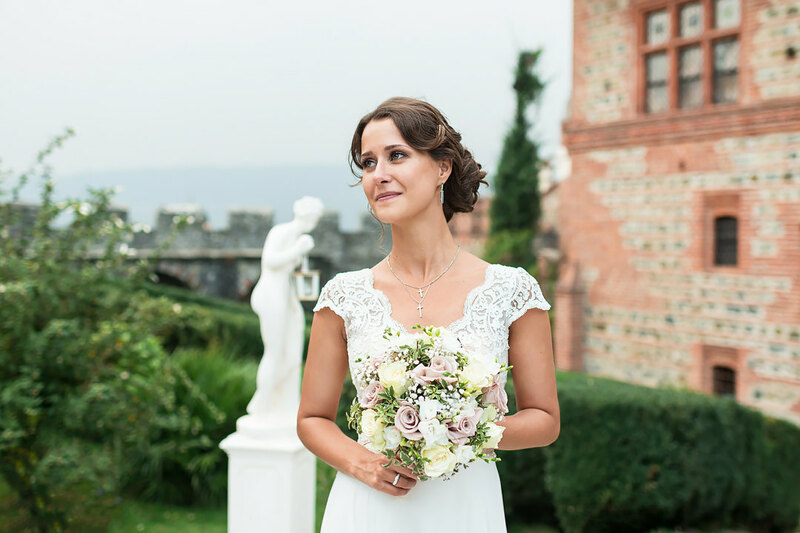 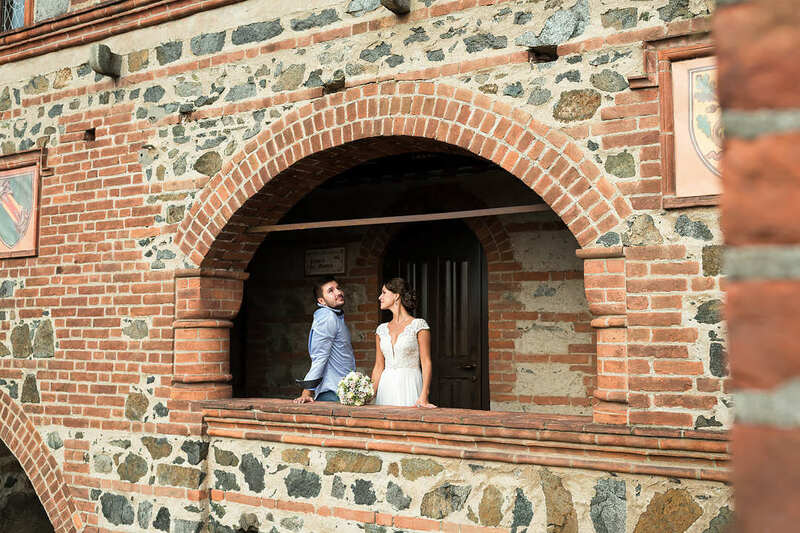 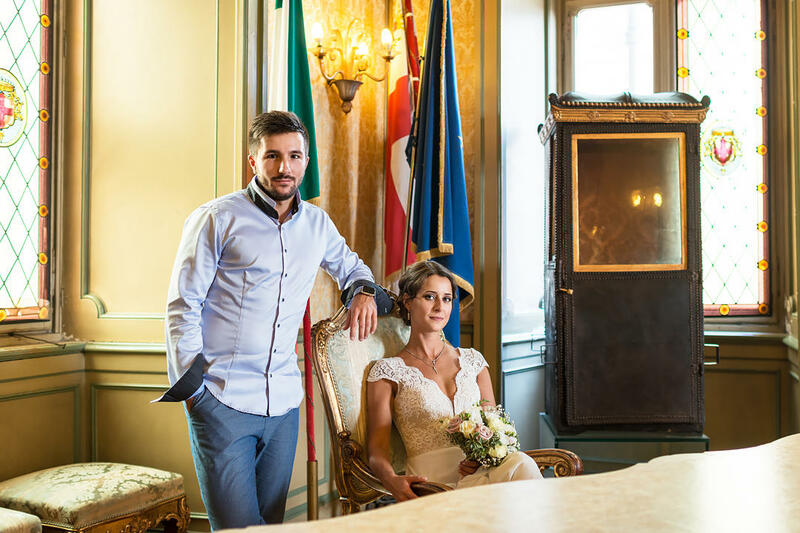 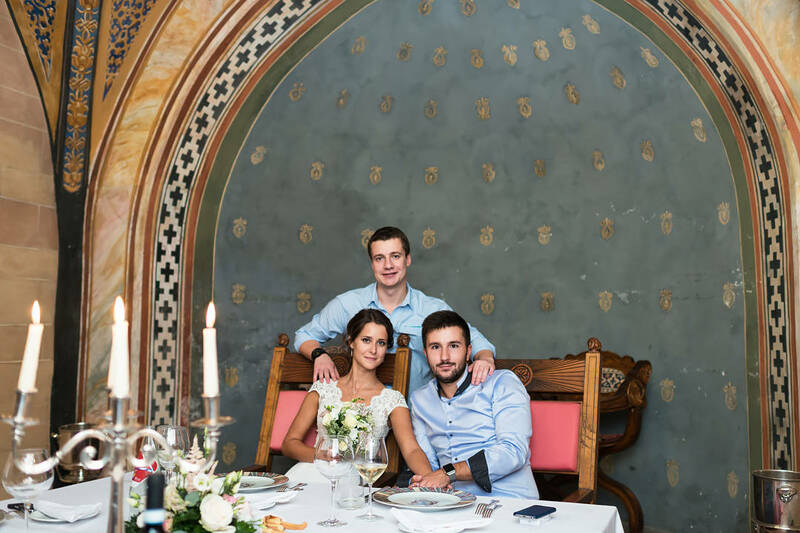 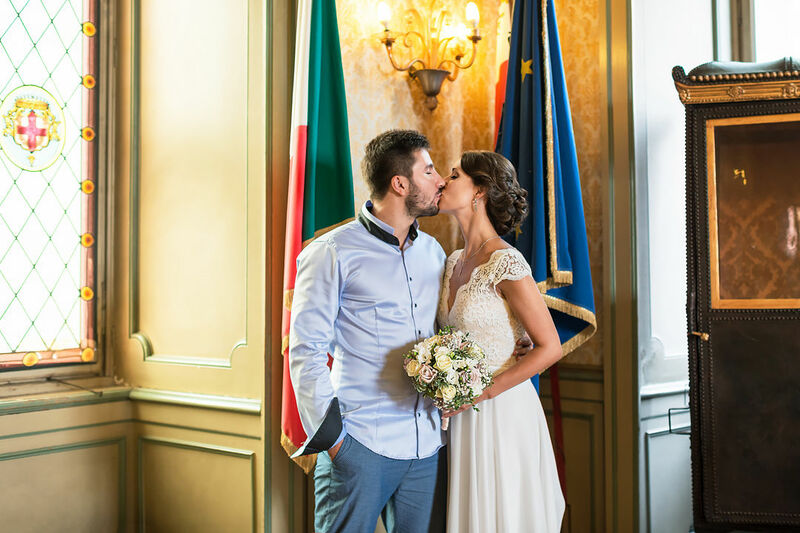 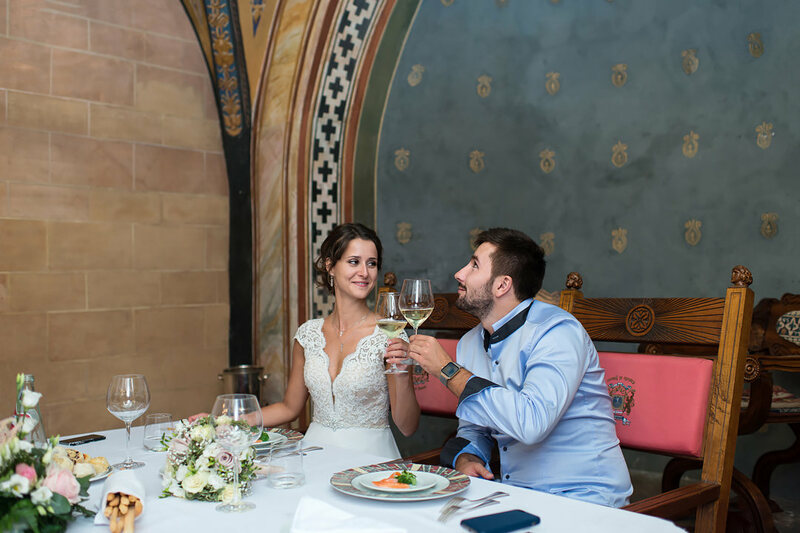 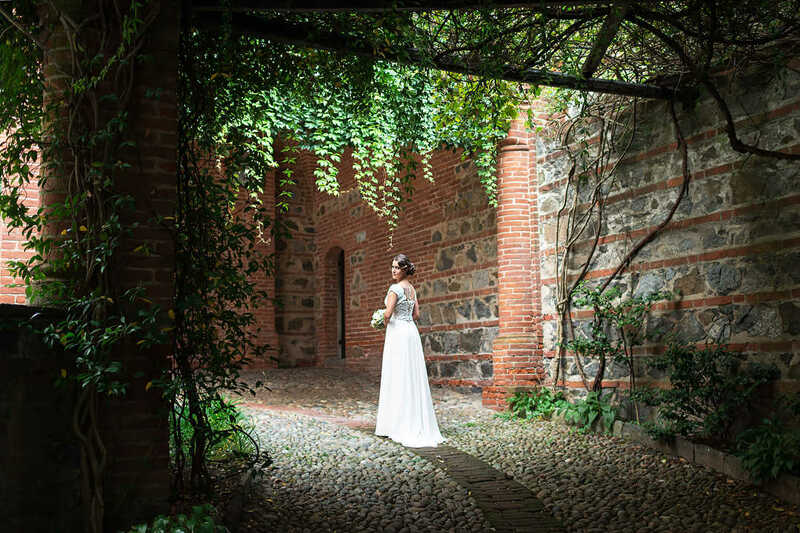 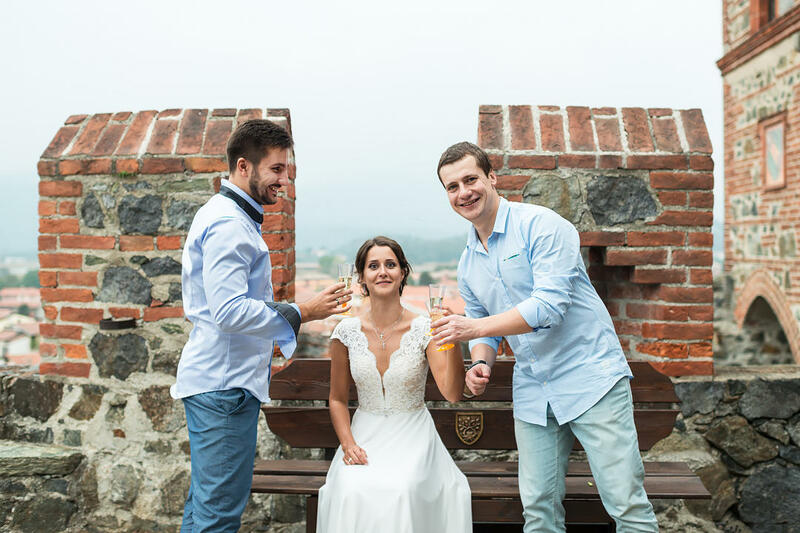 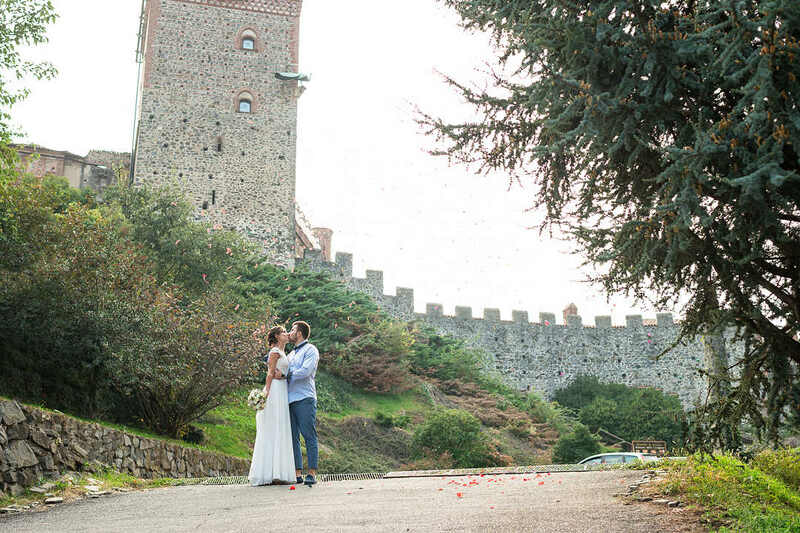 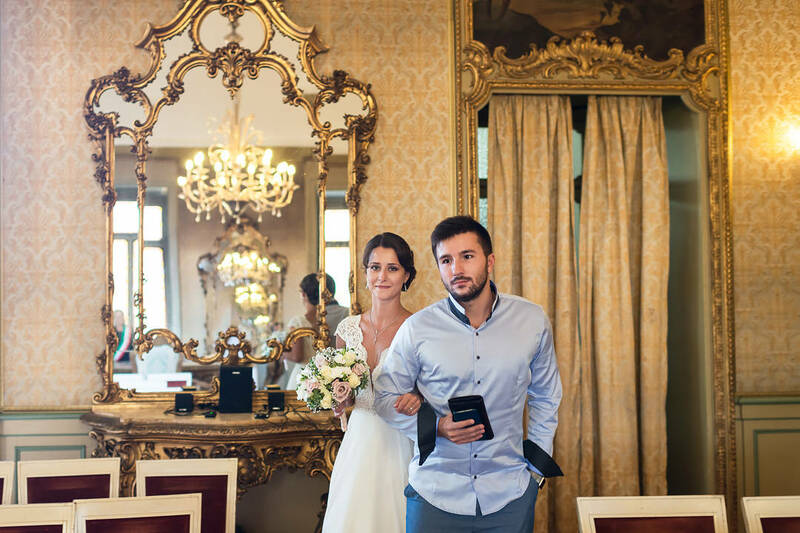 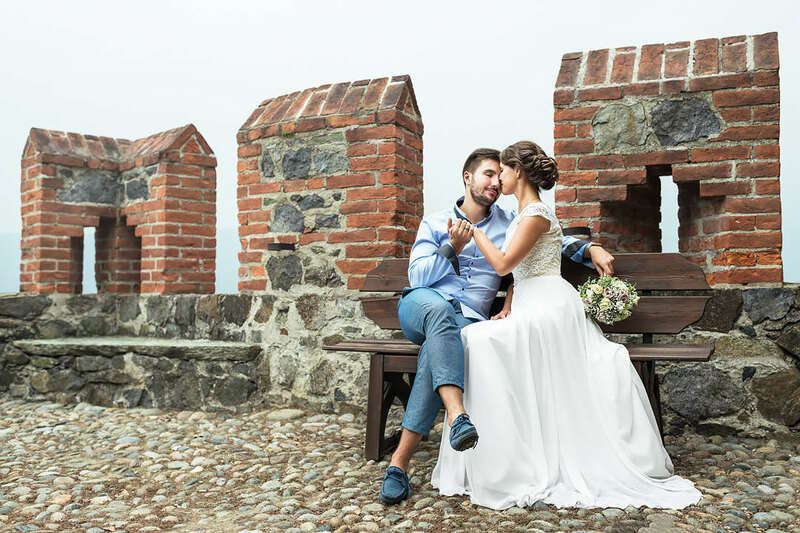 This wonderful couple decided to get married in a medieval castle built in the 9th century and laid by the ancient Romans on their way from Rome to Gaul through the mountain passes of the present Valle d'Aosta region. 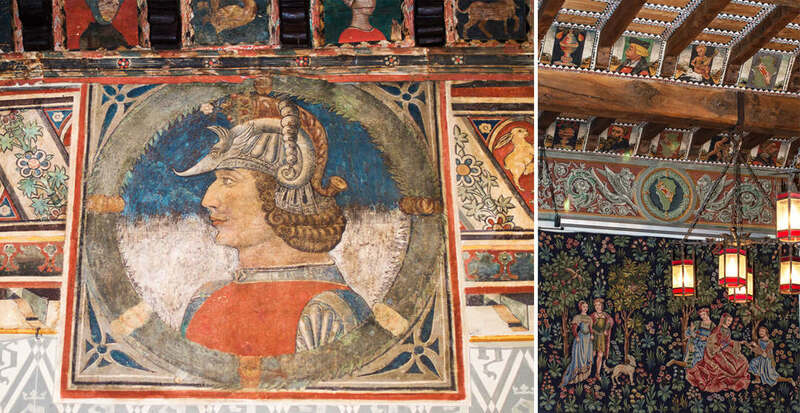 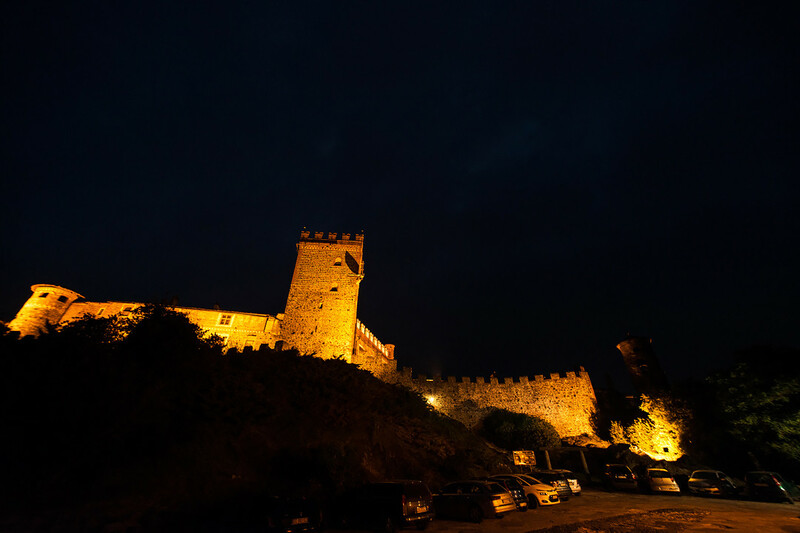 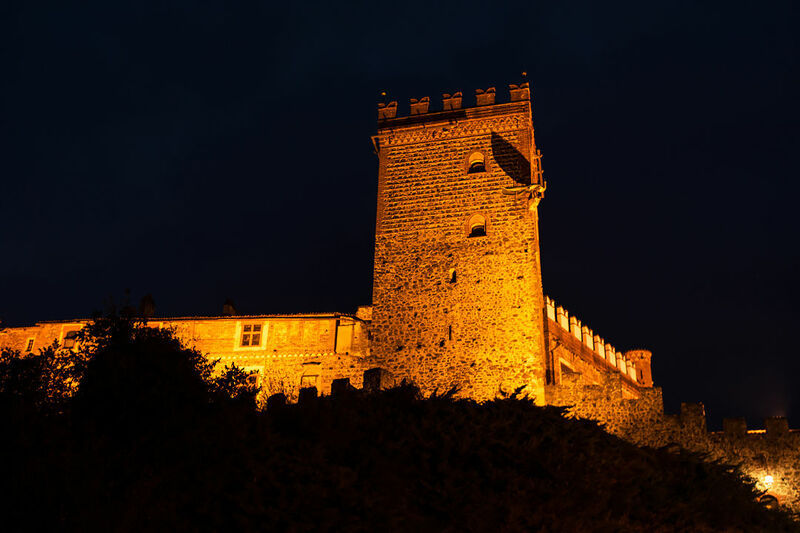 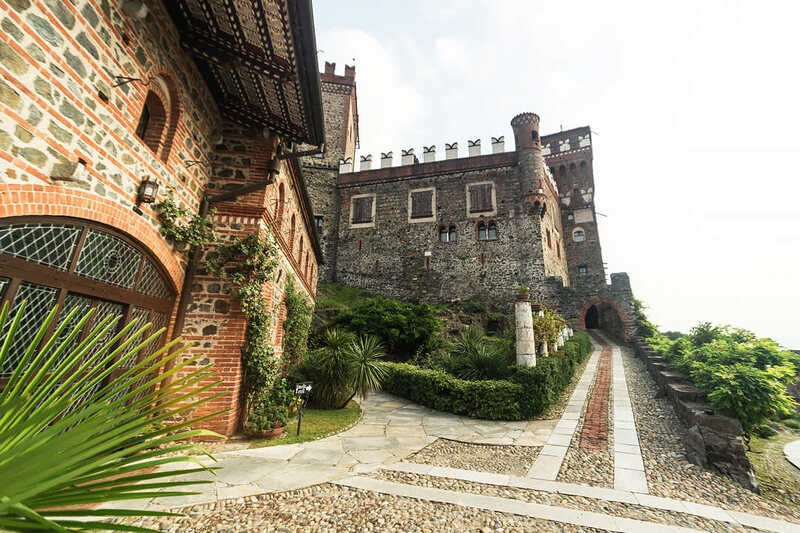 This fort, fortified by powerful fortress walls, beautifully stands out against the background of snow-capped alpine peaks, among the green valleys, on the border of Piedmont and Valle d'Aosta. 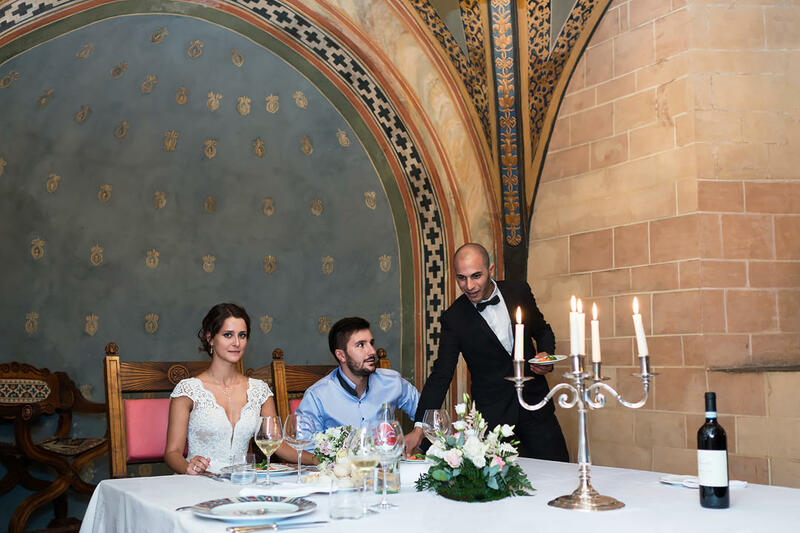 After the official registration of the marriage in the municipality, we returned to the castle and held a romantic wedding photo shoot, and then for the newlyweds was held a luxurious wedding dinner in one of the historic halls of the medieval castle, carefully preserved in its original form and decorated with original medieval furniture, paintings, candlesticks, fabrics ... 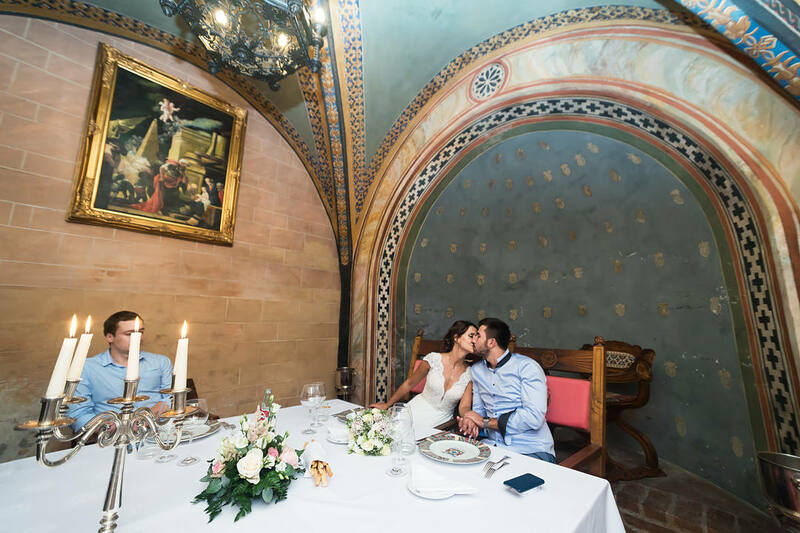 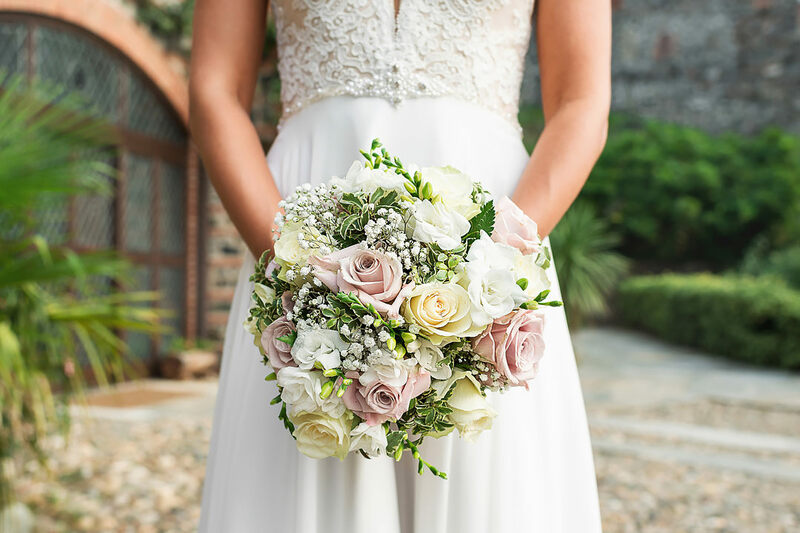 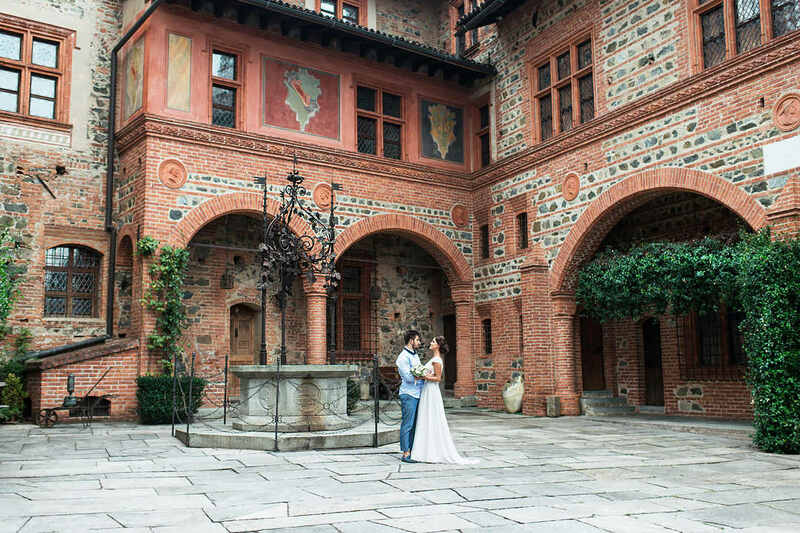 Wedding night of the newlyweds were held in a deluxe room in the castle hotel, where the atmosphere of the Middle Ages is also fully preserved, and even modern conveniences are decorated in the Medieval style. 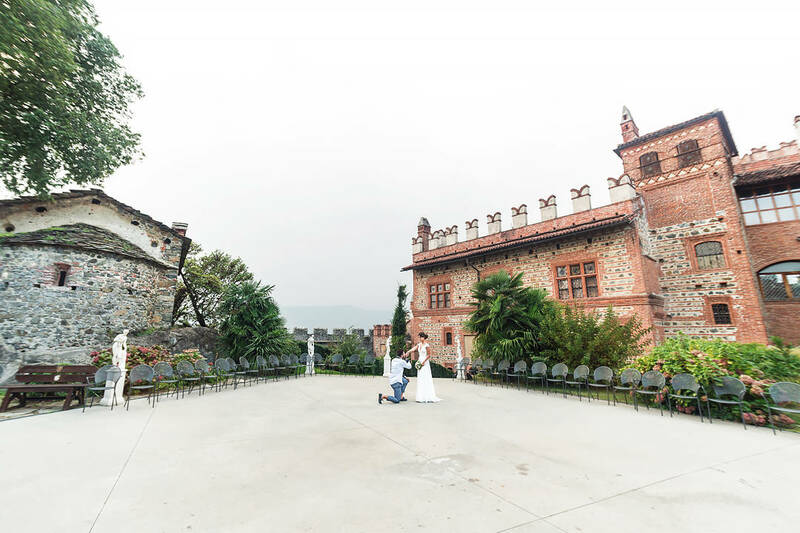 This is really a unic place for an unforgettable wedding!